Kozhikode, 1 April, 2017: Indian Institute of Management Kozhikode (IIMK) celebrated its 19th Annual Convocation with Padma Bhushan Dr. K. Radhakrishnan, former Chairman of ISRO, gracing the event as the Chief Guest. Chairman of IIMK Board, Dr. A.C. Muthiah and Director-in-charge of IIMK, Prof. Kulbhushan Balooni also graced the event along with the members of the IIMK Board and trustees. 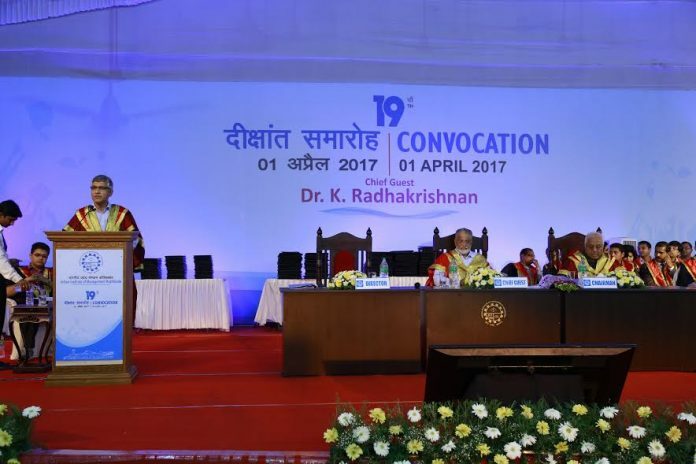 In his convocation address to the graduating students, the Chief Guest, Dr. Radhakrishnan, emphasized on the opportunities India offers as one of the most dynamic and emerging economies of the world, and urged the graduating students to use this as a launch pad for making India the next biggest technology-based manufacturer in the world, by developing novel methods to achieve this task. 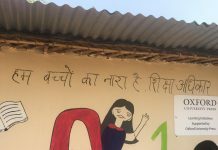 The Chief Guest also highlighted the importance of keeping an open mind and learning from all, while dealing with the inherent differences. In his remarks to graduates, Director Prof Kulbhushan Balooni, talked about the importance of having self confidence in one’s abilities. He quoted the famous lines “Speak the truth and Do What is right, You shall receive every courage and Defeat every Might”. The director also talked about the glorious achievements of the institute and in particular talked about the significant contributions made by the faculties, research scholars and students in the field of knowledge.